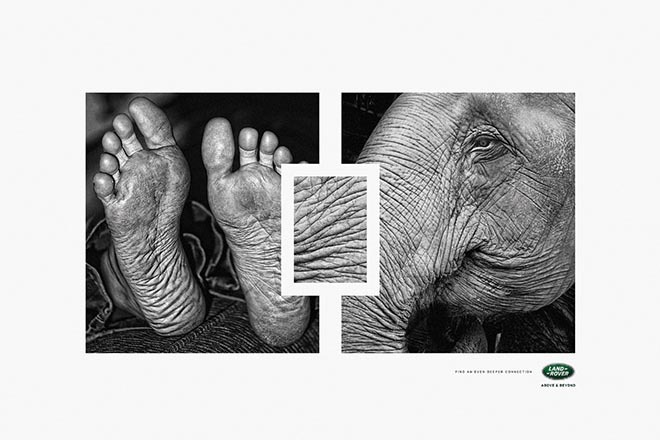 Land Rover USA ran “Deeper Connection”, a poster and print advertising campaign featuring photography comparing human skin and the skin of an elephant, orangutan, hyena and frog. The tagline: “Find an even deeper connection”. 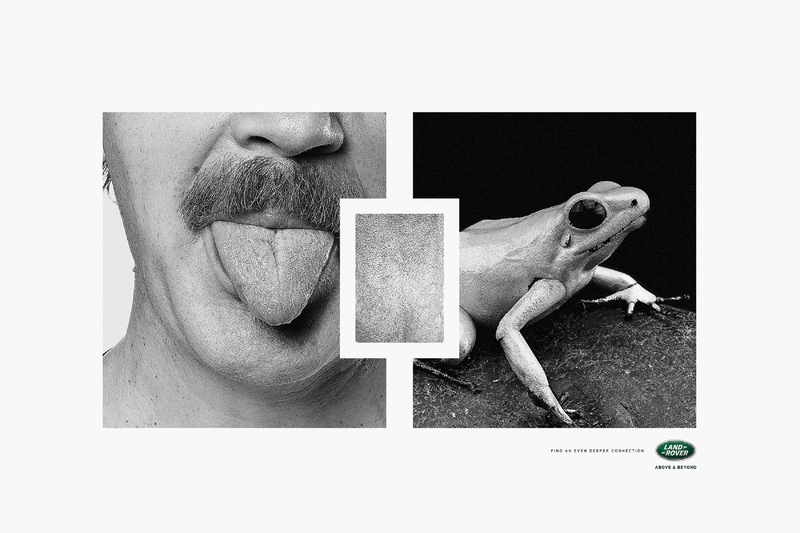 Creative team Racz and Casao explain the thinking behind the campaign. 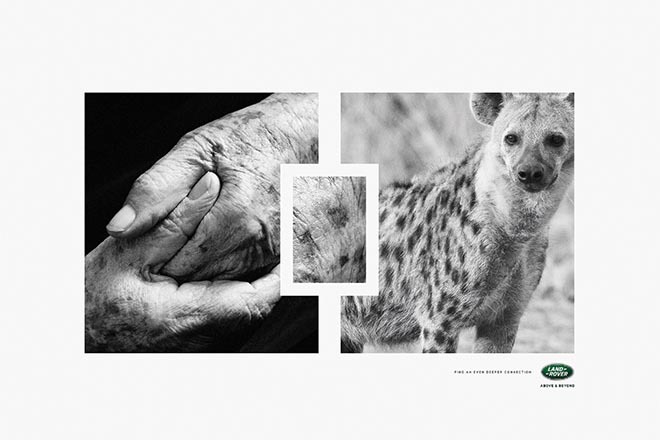 “Land Rover became famous because of its adventurous spirit, but over the past years, its top edge design and product quality, it became a luxurious item, more focused on luxury than anything else. We had a tough mission to rescue that spirit and reconnect man with nature once again. So we come up with a campaign showing how man and nature are more connected than they think. You just need to go out there and see it for yourself. Go out side. Find an even deeper connection.” See the original photographs on their Behance page. 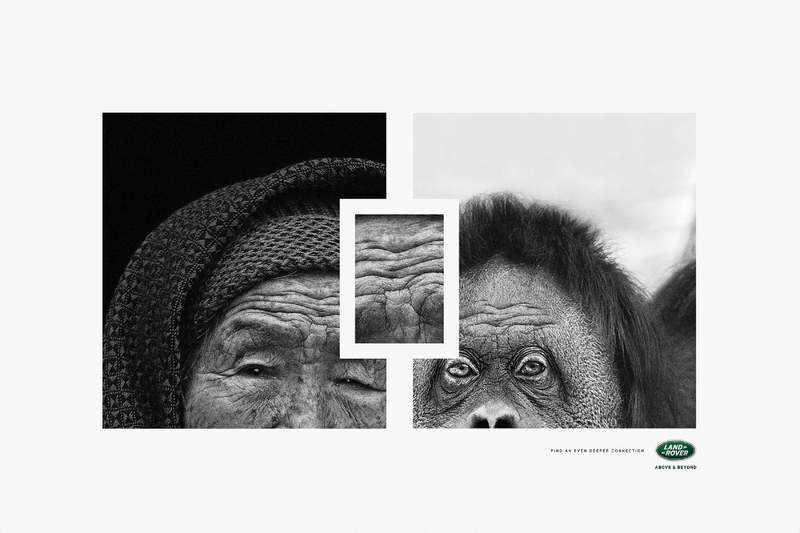 The Land Rover Deeper Connections campaign was developed at Y&R New York by chief creative officer Jim Elliott, executive creative director Marc Sobier, creative director Greg Farley, senior copywriter Lucas Casao, senior art director Guilherme Racz, art buyer Cindy Pardy, account directors Nancy Aresu and Kathy Stahler working with Land Rover USA communications manager Ken Bracht.